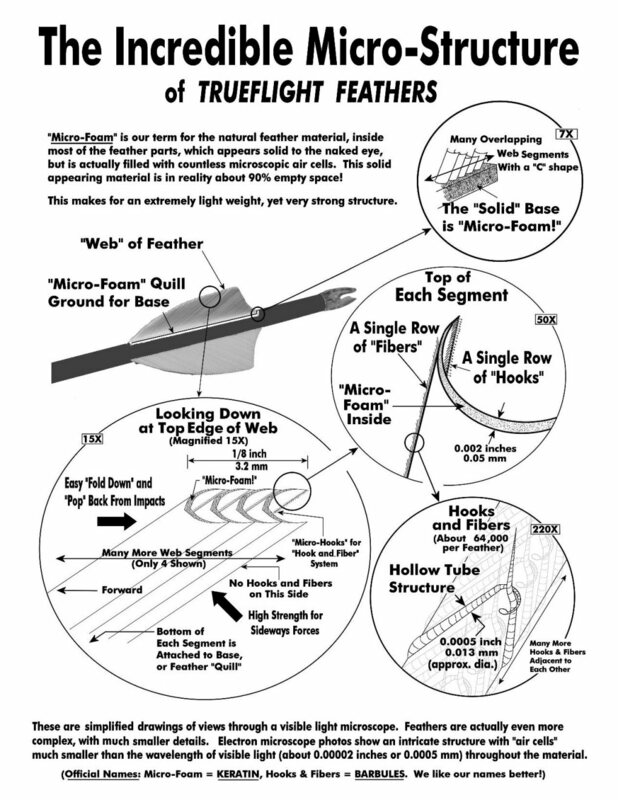 This is a open letter to all of the TrueFlight Feather users like myself, who have taken the time to view and subscribe to my YouTube video: "How to Hunt Pheasants with a Bow". The YouTube movie trailer has shattered all expectations for myself as well as others in the industry. We have received over 1 million views last year alone and it looks like we might reach the 2 million mark at the end of 2014. Thank you for viewing. The full-length movie is now available at Amazon for only $3.99 for instant download. 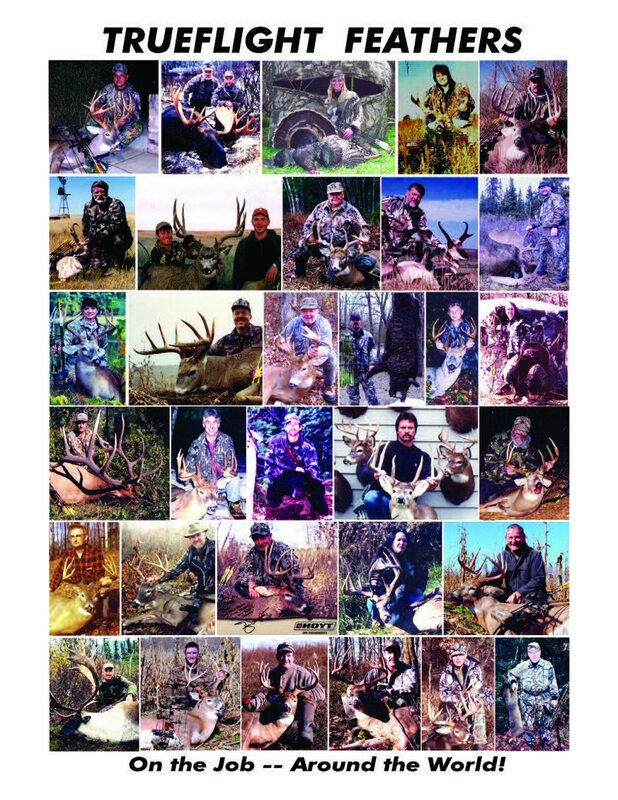 Just go to Amazon.com and search for "Pheasant hunting with a Bow". Even if you’re not a hunter there are some exciting ways to learn how to practice your aerial shooting skills in the video from the use of inexpensive milk jugs to gun sportsmen’s sporting clays. 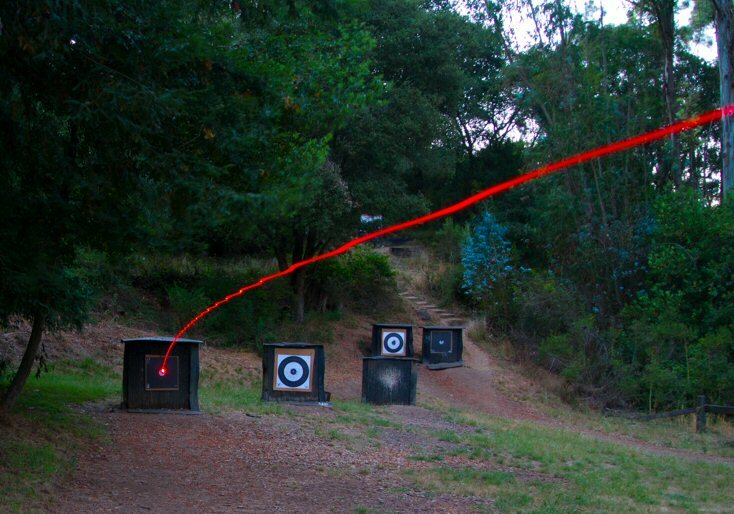 Aerial shooting has become an exciting part of archery across the United States and even throughout the world. Aerial archery is both exciting and fast-paced which is possibly one of the reasons it is growing in popularity at such an astounding rate. The other reasons for its popularity is that it’s great family fun! All you need are some Flu Flu arrows, some targets and an open field to shoot safely. Another reason for the popularity of aerial shooting is that it’s a lot easier than it looks. Even on your first day you will find within a couple arrows you will be getting extremely close to your targets if not hitting objects in flight. The most common mistake made by aerial archers from beginners to intermediates is they have a tendency to stop the bow when they release the arrow. If you stop the path of your bow on aerial target is the equivalent to stopping the swing of a shotgun while you shoot. The end result will be a missed target. I have archers practice moving their bows to a normal target path and releasing their arrows in mid-movement. Once they can be smooth and fluid moving their bow and releasing their arrow, only then to do we move on to targets. Flu Flu arrows are easily purchased but I enjoy building my own. I put enough feathers on my arrow so that no matter what angle its shot at, it will not travel more than 100 yards. I find this a good formula for safety as well as retrieving my arrows. 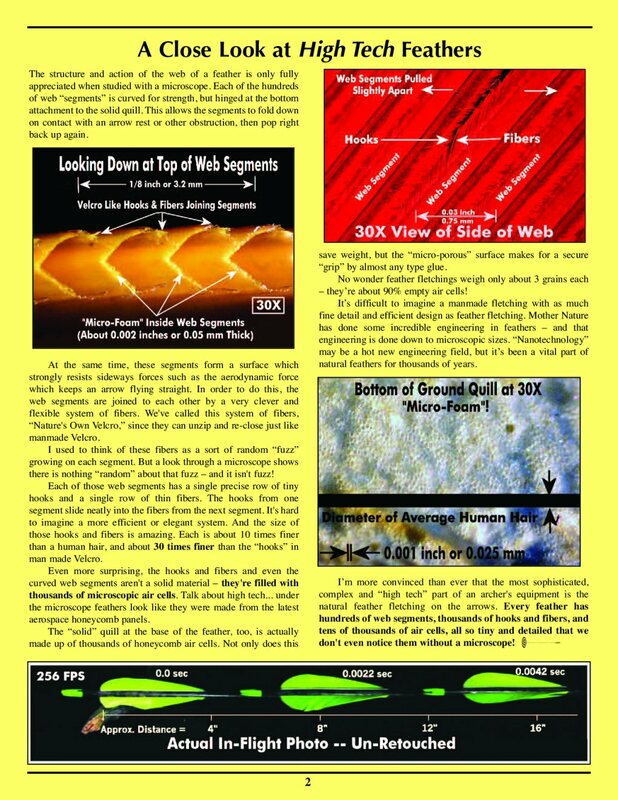 If your arrows are flying over 100 yards they tend to land at a lower trajectory and could disappear in the field. 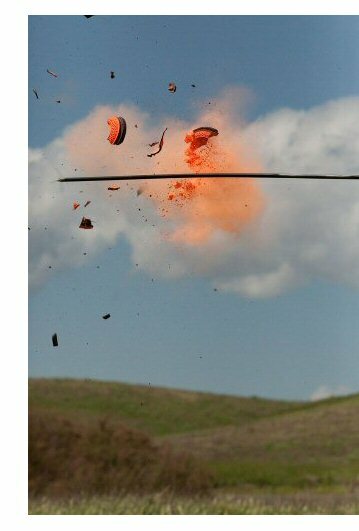 If your arrows fall out of the sky at 70 yards or so they will drop down like a parachute, Aiding in their recovery. Two other ways I aid myself in recovering difficult to find arrows is first, I use Lumenocks. They make a lighted knock that can easily be seen at a 100 yards or more in lowlight conditions. It is also spectacular to watch while shooting in the evening. Second, I have been applying “pheasant scent” to my Flu Flu arrows before shooting. I then unleash my hunting dog Ripley, (Brittany Spaniel) and it won’t take long to have him pointing out all my arrows. 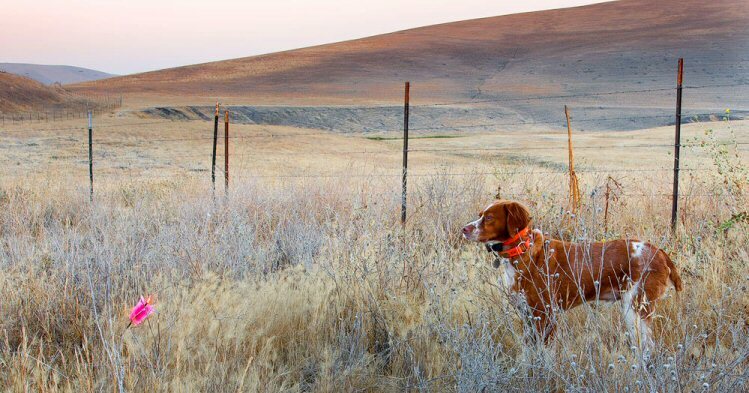 Convenient for me, and a fun way for training your hunting dog. 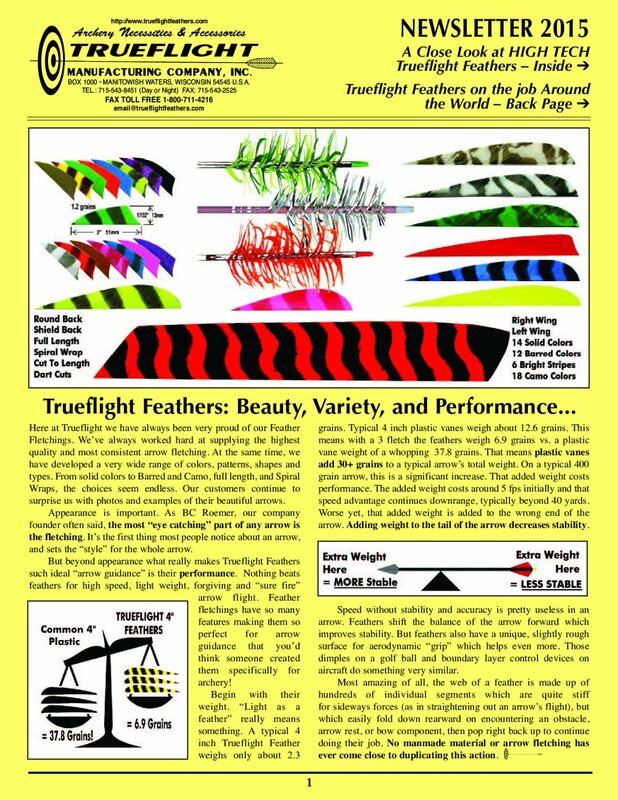 Thanks again to Trueflight and all its readers that love using feathers as much as I do. Text and Photos copyright 2014, Trueflight Mfg. Co., Inc.